Happy last day of January! I can’t believe we are already one month through the year, crazy stuff! We are finally getting snow in Montana and I love it. I figure if it’s going to be winter, we might as well have snow to go with it. Better now than in April I suppose. 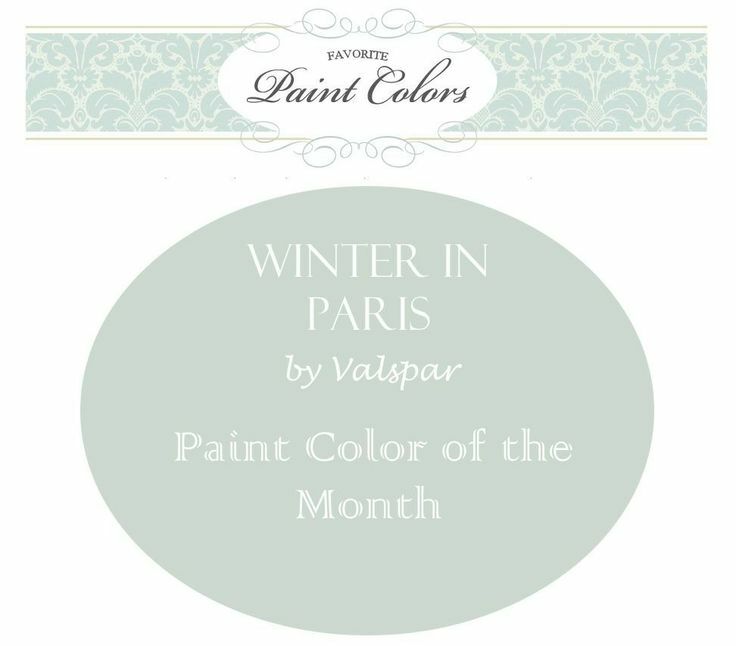 So when I was looking at the paint color forecast for 2014, I loved Valspar’s “Zenergy” palette, especially Winter in Paris. You know how colors just jump out to you on the screen and you think, LOVE that! Well that’s exactly what I thought when I saw “Winter in Paris”. 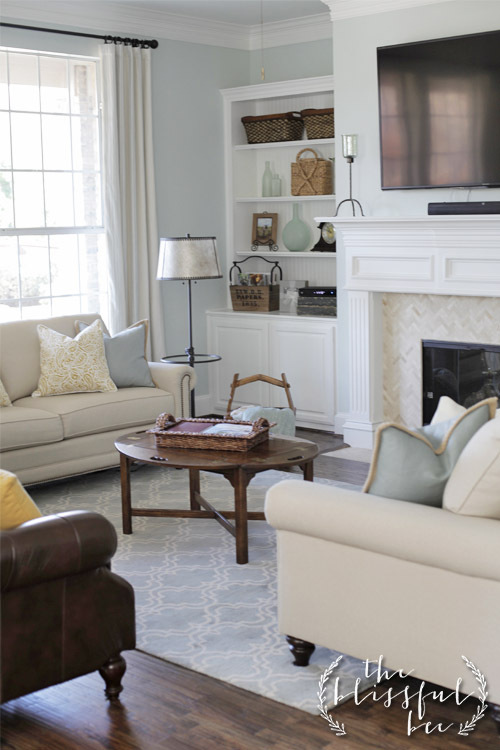 Then I came across this beautiful living room makeover from The Blissful Bee and fell in love once again. The whole transformation is amazing, but I especially love the colors. 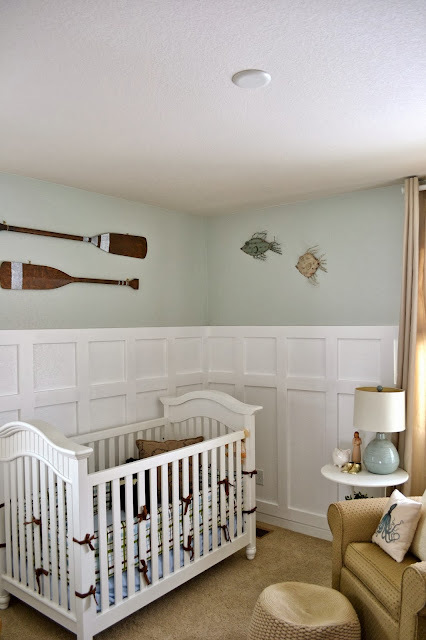 I love how this paint color has a tint of gray, a little turquoise and is not too “baby” blue. 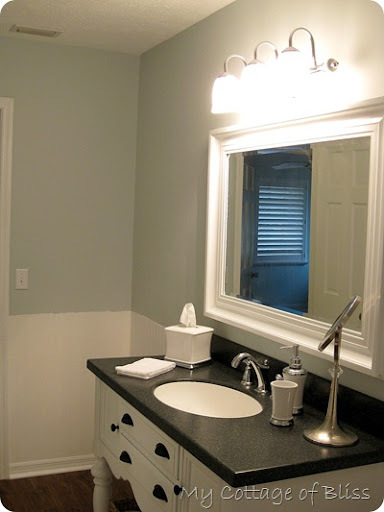 I’ve decided to name it my favorite paint color of the month. Now I realize this is the last day of January, but I have a ton of favorites and will feature a new one sometime next month, and then the next month and so on. Plus, the name is just fitting for this time of year. Has anyone tried this? Does it look as good in person as it does in the pictures? I would love to know! Have a wonderful weekend my favorite readers!